In the course of an exceptional career, Christian Lindberg has single-handedly established the trombone as a solo instrument and was the first Swedish instrumentalist to perform with the Berlin Philharmonic Orchestra and the Chicago Symphony Orchestra. In 2000 an international poll dubbed Lindberg one of the five greatest brass players of the 20th century together with Louis Armstrong, Miles Davis, Dennis Brain and Maurice André. As a performer, he combines virtuosity with a striking vitality, as testified by the following description in a review from the Minneapolis Star Tribune: ‘If enthusiasm is contagious, Christian Lindberg is an epidemic waiting to happen… he’s a potent antidote to the stuffiness that still passes for seriousness at many a concert.’ Today Christian Lindberg devotes most of his time to composing, with commissions from ensembles such as Chicago Symphony Orchestra, Giuseppe Verdi Symphony Orchestra of Milan and Rotterdam Philharmonic Orchestra, but also pursues a flourishing conducting career. 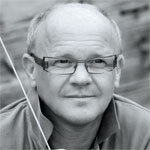 He is currently chief conductor of the newly established Arctic Philharmonic Orchestra in Norway and appears regularly as guest conductor with orchestras such the Rotterdam Philharmonic Orchestra, Giuseppe Verdi Symphony Orchestra of Milan, Swedish Radio Symphony Orchestra, Gürzenich-Orchester Köln and the Royal Flemish Philharmonic. His acclaimed and wide-ranging discography on BIS includes more than 50 CDs, and features him in all three roles: as trombonist, composer and conductor.